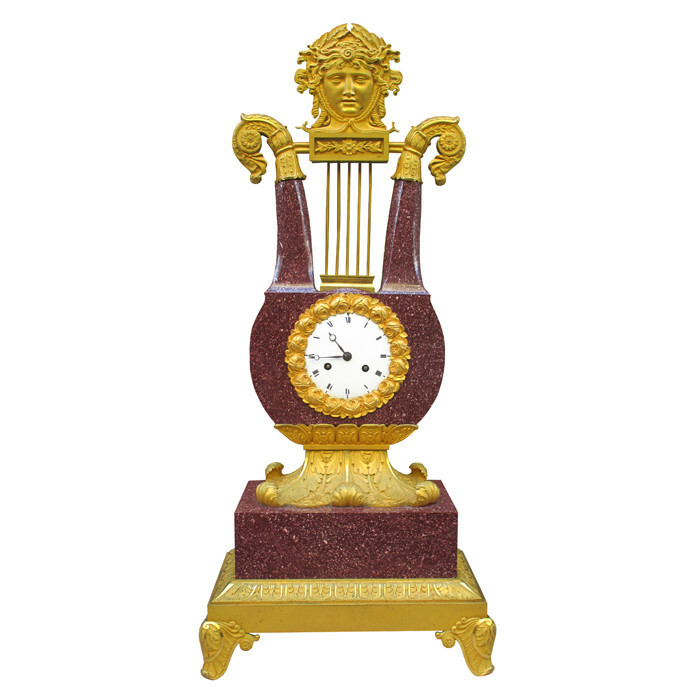 An important Charles X imperial porphyry lyre clock. 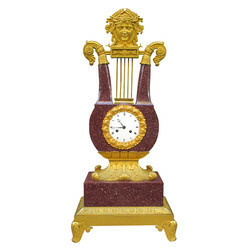 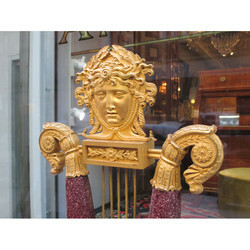 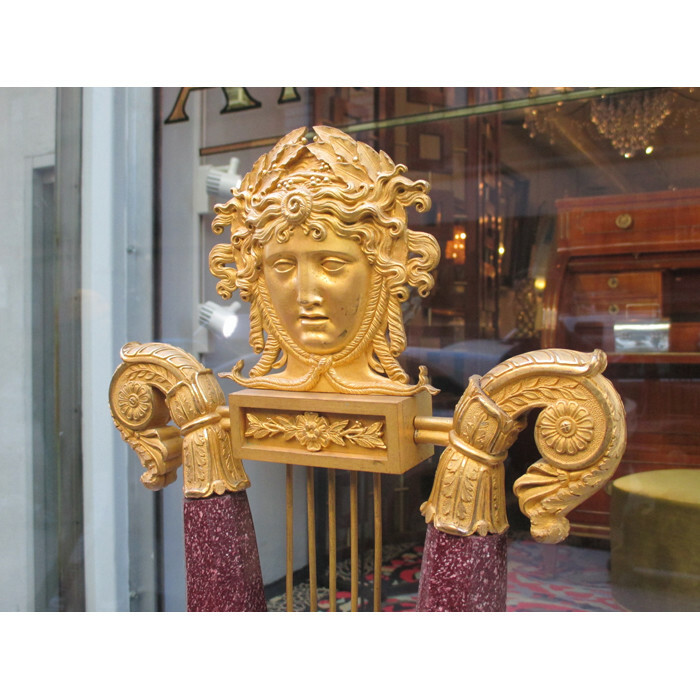 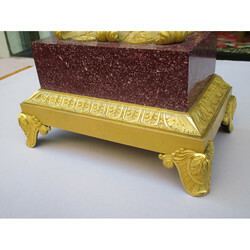 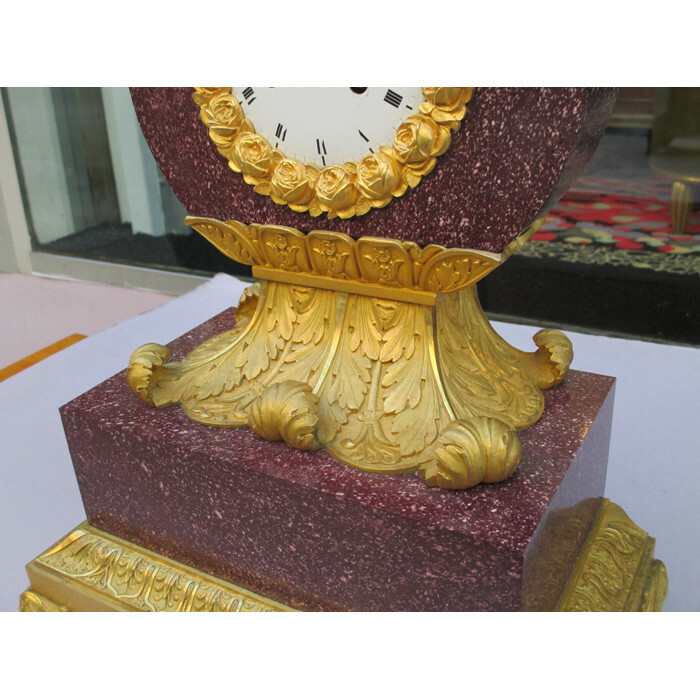 Crafted from red porphyry and ormolu. 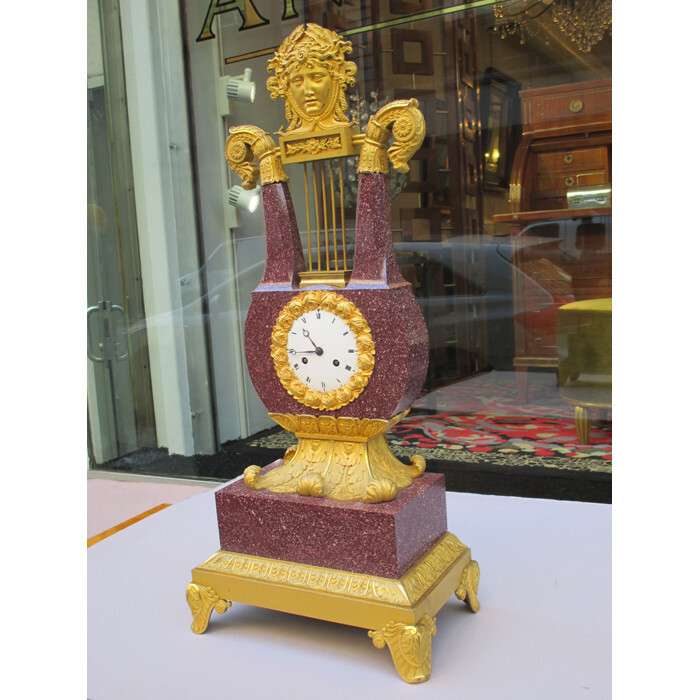 Movement signed and dated 1828. 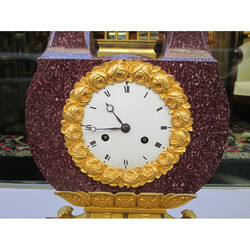 Dimensions: H:29 W:13 D:7¾ Inches.